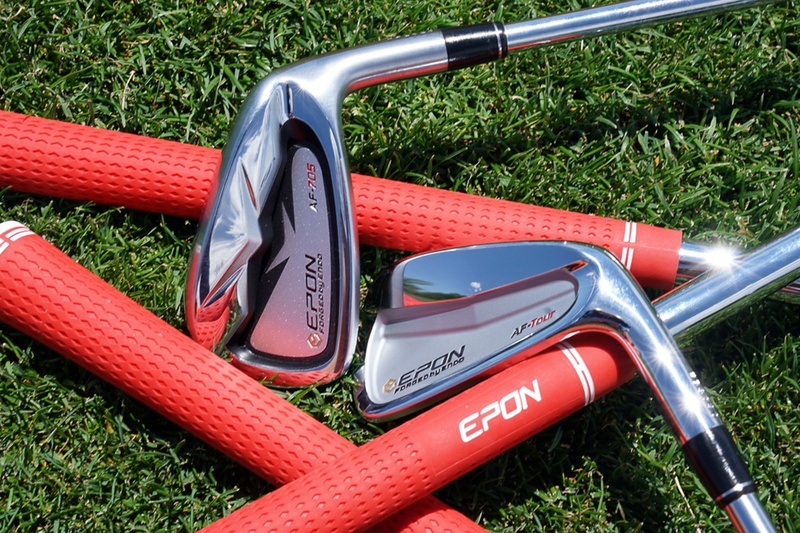 Know Your Japanese Golf Brands: EPON, the house brand of forging powerhouse Endo. Walter Payton said, “When you’re good at something, you’ll tell everyone. When you’re great at something, they’ll tell you.” The Endo forging house evolved into an industry benchmark, not as a result of self-promotion but rather its Rolodex of clients. Srixon, Yamaha, Mizuno, Honma, Bridgestone, Tourstage, S-yard, Daiwa, Callaway, and Titleist (among others) have all routinely relied on Endo to forge its premium lines of irons and wedges, many of which still do. Now, Endo which created EPON in 1977 to showcase what it could do without any cost or time restraints, is looking to further extend EPON’s reach into North America, in part by dispelling the myth that forged clubs are exclusively for better players. As the product line both renews and expands, the challenge becomes more complex. Positive business strategies in Asia don’t always translate well abroad, and the Japanese domestic market has witnessed an influx of non-native brands further crowding an already congested space which hasn’t experienced any appreciable growth in the last half-decade. That said, North American consumers seem to be growing more accepting of premium-priced equipment, particularly as prices on stock OTR (off-the-rack) equipment continue to rise. Where and how EPON fits into this evolving landscape is equal parts question and motivation. Founded in 1950 by Eimatsu Endo as a company dedicated to manufacturing steel parts for machines, housewares, and automobiles, golf equipment wasn’t part of the original business plan. But that all changed when established Japanese OEMs sought Eimatsu’s company as a partner in manufacturing forged clubs. 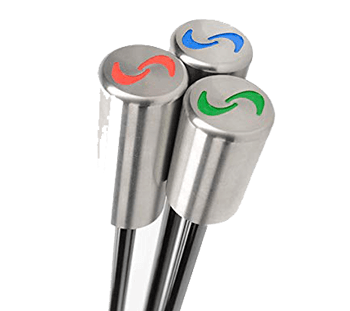 It wasn’t long before Endo, who now sits as CEO/President of EPON Golf, established EPON as a subsidiary of the business entity Endo, allowing the parent company to expand its variety of pursuits, which includes spinal implants, where tolerances are 1/10,000th of a millimeter. By that measure, creating tooling dies for intricately designed forgings is relative child’s play. 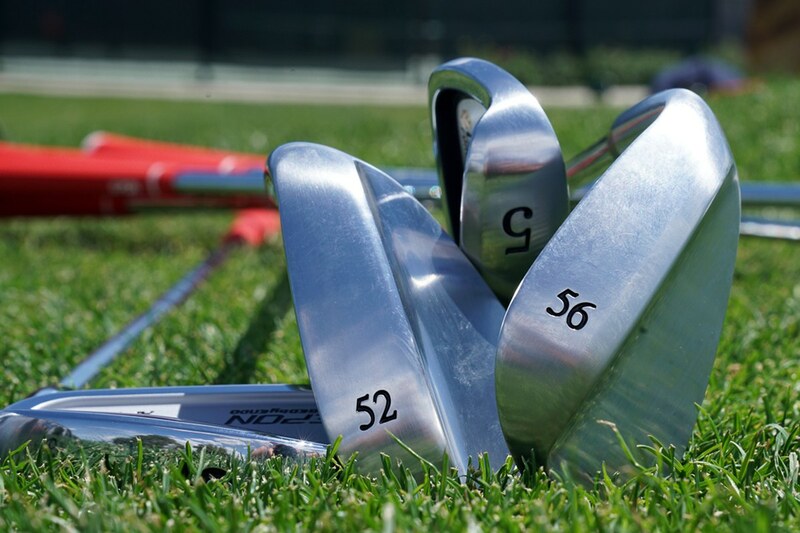 During the late 1960s and 1970s, Endo quickly became the go-to forging house for a plethora of Japanese OEMs, and eventually larger American brands like Callaway and Titleist contracted with Endo to forge some of its most iconic retail iron sets, including the original Callaway Mickelson blade and 2013 X-Forged. Endo’s resume also includes Henrik Stenson’s current gamers, the Callaway Legacy Black. The last line of Endo forged Titleist irons was the 690 series, though several tour players (including Scott Piercy who paired with Billy Horschel to win in New Orleans this year) still bag the 15-year old Endo forged, 680 MBs. It doesn’t stop there. Bridgestone’s current B-series irons/wedges as well as its cult-creating J33 and J40 series irons are all Endo forged. Fourteen Golf, which now uses product forged in China, previously worked with Endo on several product releases (TC-606, TC-777, TC-1000) and though lesser-known outside the blogosphere world, Srixon’s 65 series (565 was MyGolfSpy’s 2017 Most Wanted GI iron winner) are Endo forging as well. Nike contracted with Endo for its various VR-series irons and woods. Mizuno, which is arguably is a more established brand name globally than Endo/EPON, didn’t have the in-house capability to produce a forged iron with an undercut cavity, but Epon could. Thus, Mizuno’s JPX 800 AD and JPX 825 irons are on the extremely short list of Mizuno forged irons produced somewhere other than the Chuo factory. It’s an impressive resume which no other Japanese forging house can match. Endo is an attractive brand partner for myriad reasons, not the least of which is its well-heeled reputation. Does the product cost more to produce? Absolutely. Is it higher quality? It would be a hard point to argue against. Endo has a fully-integrated, in-house, 3D-tooling and production process. This allows clients a more streamlined experience from concept to creation, and because Endo can one-piece forge complex CAD designs, it can produce an unmatched breadth of clubs – from a relatively basic muscle-back like Srixon’s 965 to something far more elaborate, like EPON’s 705. As is typical for premium forging houses, Epon claims to start with more premium materials and uses higher tonnage presses, which means the billet-to-raw-head process requires fewer total strikes. The benefit, according to Epon, is a tighter grain structure (which contributes to Epon’s signature feel) and a raw head which is within 5-6 grams of its final weight. Most others are in the 10-14-gram range and require significantly more hand grinding to reach the OEM’s spec tolerances for head weight. A more precisely weighted head lends itself to a more exact build, requiring fewer compensations (tip weights, boring out material from the hosel) on the backend. With Endo, it’s the sum total of materials, process, and design capabilities that give it a comparative advantage in the uber-competitive JDM forged iron space. The primary downside is cost, which is likely why OEMs like Titleist and Callaway only utilize Endo for higher-price point releases targeted at the Japanese market, where many are willing to pay a premium, even in the absence of any demonstrable performance advantage. Every OEM under contract with Endo has a limited budget and wants to maximize profit to either move further into the black (or like some, reduce the red). Even OEMs propagating a message of patient product releases still want to move product and preferably make some money in the process. Therefore, every company works within certain margins, trying to manage costs relative to the final product price. EPON exists for a single purpose – to see what can happen when those constraints don’t exist – but like every other company, EPON is trying like hell to grow, but it won’t be fueled by volume price points or battling major domestic OEMs for floor space at your local big box retailer. The approach is more cautious – one defined by pairing EPON’s uncompromised quality with a look which resonates with more North American consumers. Specifically, this means playerish irons (less offset, thinner toplines, shorter overall blade length) with higher launch, lower spin, more forgiveness and preferably more distance. 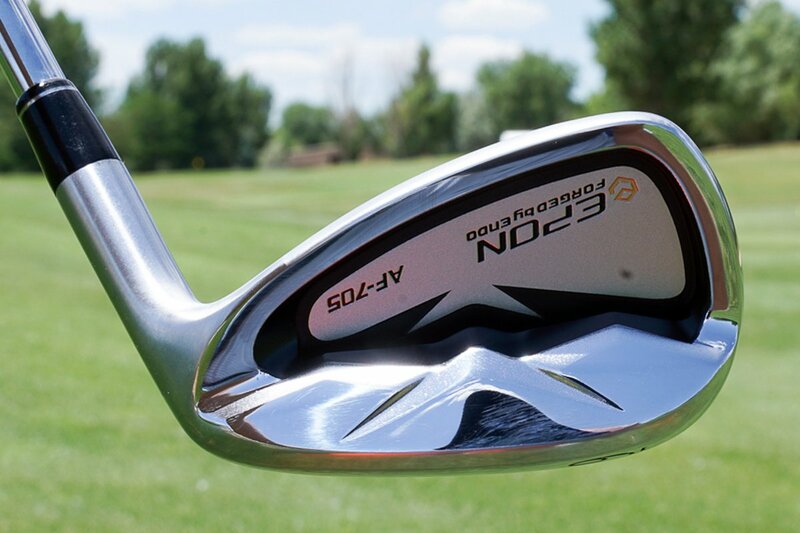 This forged distance category has quickly become the SUV of the golfing equipment world. PXG broached the category with a brash and unapologetic entrance, and now nearly every major OEM has an iron model in this genre. As expected, across the board costs for EPON irons are somewhat higher than mass-produced models coming out of the same facility – though EPON contends the AF (Absolute Forged) preface adorning all iron models serves as a constant reminder that it’s impeccably designed and orchestrated process, creates “an end product without comparison.” This is due in part to EPONs part in-house icon, part demi-deity, Hideichi Yamamiya, a 35-year veteran and Head of R&D and Chief Designer. Amongst his varied responsibilities, Yamamiya focuses on designing equipment specifically for the North American market. An interesting FYI – one of Yamamiya-san’s apprentices is responsible for the grinding and finishing the set of Srixon 965 irons belonging to the sixteeth ranked player in the world and winner of the 2017 WGC Bridgestone-Invitational. It shouldn’t take you long to come up with the player name. EPON is a relative newcomer to the North American market. 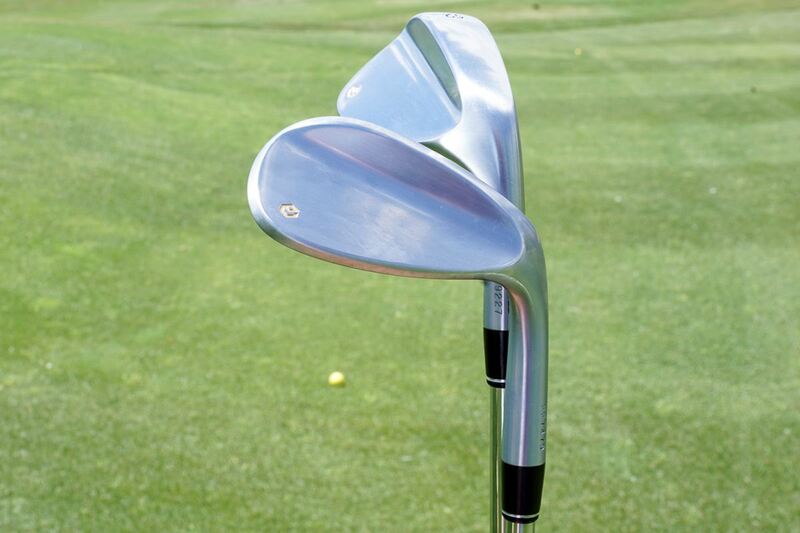 In 2010, the brand dipped its proverbial toes in the shallow end by releasing the AF 301/501/701 series of irons. The overall quality was unquestioned, but the aesthetics suggested EPON hadn’t yet aligned the quality of the product with a look North American buyers would appreciate. This is the crux of EPON’s predicament, and a closer examination of current and pending releases reveals the company just might have worked it out. The 705 is EPONs most forgiving iron on the menu. Its performance is that of a Super Game-Improvement iron, yet the body profile is ostensibly game-improvement. It holds over the spring steel face from the 703 but adds VFT (variable face thickness) to boost ball speeds on off-center strikes. Along with the 505, EPON projects these models to account for nearly two-thirds of all iron sales. The 505 replaces the 503 and could be the EPON product consumers are still talking about next spring. It’s a bold assertion, however; should EPON become more relevant and garner increased attention, it will be because the 505 can offer performance in line with clubs like PXG’s GEN2 and Ping’s i500 irons but in a true, single-piece forged design. The out-going 503 had a 2.6MM thick spring steel face. It was fast but clicky and too firm at impact. The 505’s face will be the thinnest (2.0MM) in a one-piece forged iron, and with that, EPON contends the 505 will set a new benchmark within the forged-distance category. Grab your popcorn and wait for our Most Wanted GI iron results. EPON’s 303 occupies the Players CB space in the line-up. Its topline is thinner than the 302, but the sole is a touch wider. This makes the 303 a little easier to elevate, though the increased offset may be a bit much for some. Ten years is a long time to own a car. It’s an eternity for a single iron model. 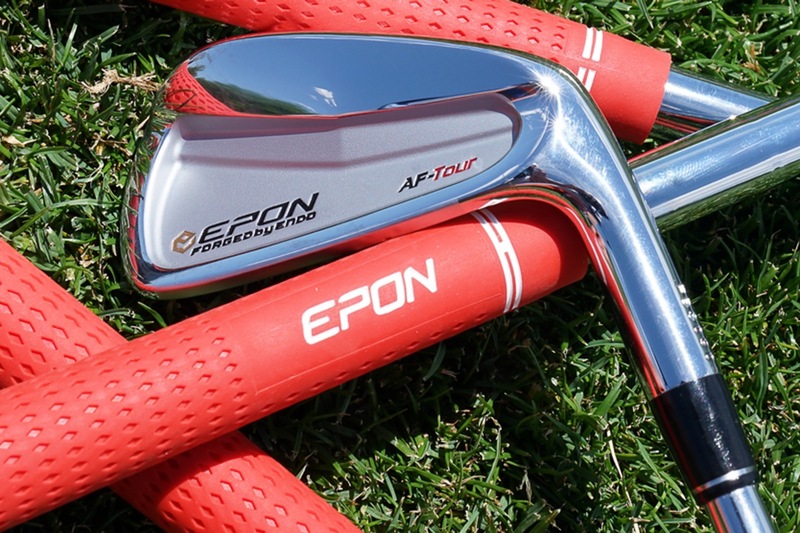 EPON launched the AF-Tour in 2008 and just released the AF-Tour MB II; a muscle-back iron promised to be the quintessential “blade lovers blade.” As compared to the current AF-Tour, the AF-Tour MBII is more compact and less forgiving. The cavity channel is thinner, while the toe profile is more rounded. The sense is this is a play to appeal to those wanting something reminiscent of muscle-backs of yesteryear, but with the advantage of advanced CAD and 3D tooling capabilities. It’s a strategy which appears to be working for Mizuno and is the genesis for the brand P53, recently profiled by MGS. Later in 2018, expect EPON to release a 905 utility iron which replaces the 903. It should be available in lofts of 20°, 23°, and 26°. I’d be surprised if EPON didn’t end up adding and 18° option as well. The updated 905’s more compact frame and rounded profile should transition more smoothly into EPON’s more player-oriented iron sets. EPON offers two wedges (Tour and Tour Spin), both available in even-numbered lofts 48° – 60°. The Tour wedge has a smaller profile and teardrop shape, while the Tour-S is larger, more forgiving and generates 1000 more RPM than the tour wedge – loft for loft. Also, the face of the Spin wedge tapers down 1MM from top to bottom, which raises the CG to offer enhanced control over launch and spin. For the more boutique minded, EPON will soon offer raw heads custom ground and finished by Yamahashi San. The likelihood is that the initial availability will be for the Japanese market only. Metalwoods often play 2nd fiddle in JDM conversations which is a byproduct of a comparatively higher price point, and few, if any, demonstrable performance benefits. That said, Epon isn’t willing to concede the later point. Because EPON uses higher-grade materials than many OEMs and is willing to incur greater production costs to tighten controls over CT (Characteristic Time – which directly influences initial ball speed) – the net result is hotter clubheads which bump right up against USGA tolerances. EPON will continue to offer two complementary fairway wood models – a deeper-faced lower-launch AF-205 geared to higher spin players and a more-forgiving, easier to launch iteration with a shallow face. The 905 hybrids (like the utility iron counterpart) will likewise be more compact and workable than its predecessor and available in lofts of 18°, 21°, 24° and 27°. 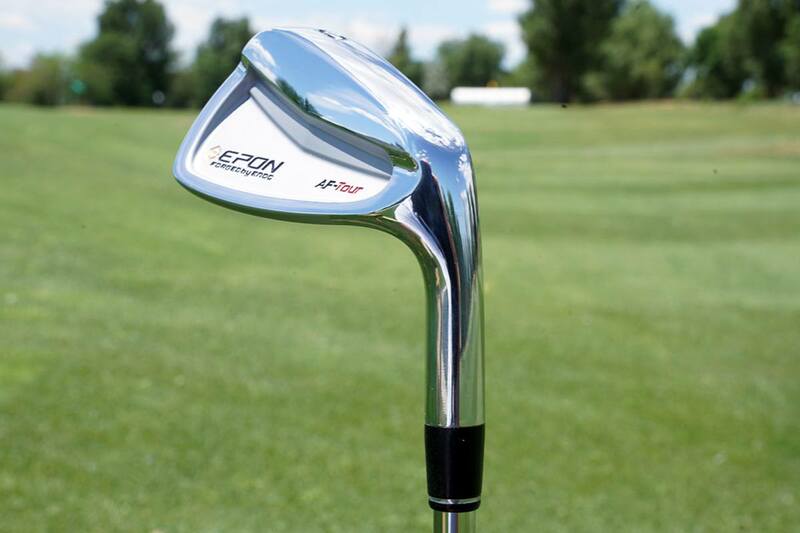 EPON uses two types of titanium (Hybrid Face Technology) to construct the face of its AF-105 driver, the deeper-faced and more workable of its two models. KS 120 Ti reinforces the perimeter of the face while aerospace grade T9 Ti makes up the bulk of the hitting area. The claimed benefit of this hybrid technology is that it maintains the integrity of launch conditions (ball speed, launch angle, spin rate) and feel on off-center strikes. The 155i driver is notable as it’s one of the few adjustable drivers readily available from the Japanese market. There is a mid-launch/mid-spin glued (non-adjustable) version as well, which drops the “i” from its name. Both models make use of a carbon-composite crown and titanium face. The “HR” (High Repulsion) version is non-conforming and specific to the Asian market. There’s a reasonable chance we will see a US Spec 155 driver (9° loft, face 2° open and lie angle 1° flatter) later this summer. It’s a simple directive – EPON must create product North America consumers want to buy. But one shouldn’t confuse simple with easy. EPON and by extension, Endo, understands the struggle of trickle-down marketing. Consumers identify with the name or label on the product, regardless of who or what is actually behind the engineering, design and quality control. As such, many consumers may have an infatuation with Endo forged irons without really knowing who or what is behind said iron model. 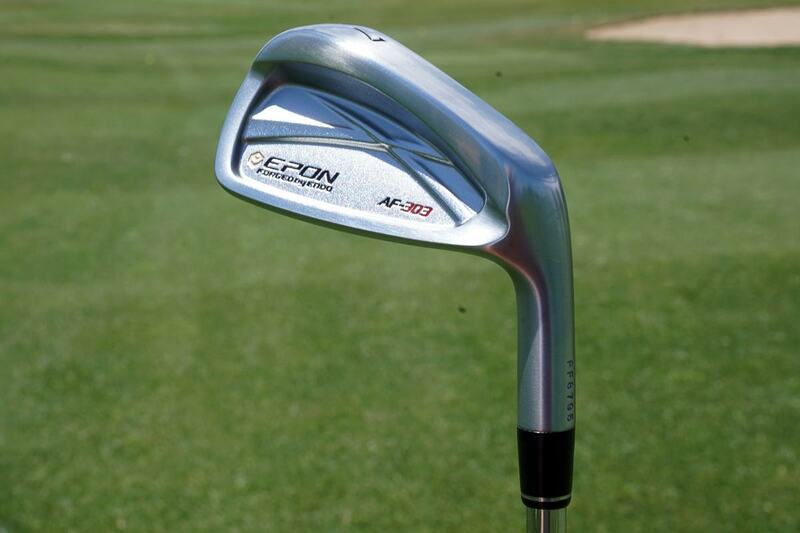 It’s clear EPON produces top-tier forged irons for arguably every category of player. The inherent challenge is getting this message in front of consumers while maintaining strict standards for fitters and retail partners; a number which likely won’t exceed 135 worldwide. Part of marketing JDM clubs to the masses of North America is to propagate some element of mystique. Love it or loathe it, brand identity matters. 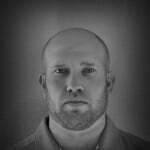 It’s why marketing and advertising departments exist – in part to create a persona for the OEM. Endo’s client list is impressive, which validates the quality of the work done for Srixon, Bridgestone, et al. But the primary question EPON must answer is, beyond the token “unlimited budget, no time constraints” division of Endo – What is it about EPON which is demonstrably better? What is it that consumers can only access through EPON and not through one of Endo’s OEM partners? Until recently, EPON didn’t have much reason to promote its in-house brand, in part because of the importance of maintaining positive relationships with brand partners, but more importantly, there wasn’t an identifiable strategy in place to grow the EPON brand. While the strategy is admittedly still in development, EPON believes the North American market is its best opportunity for growth and the changes made to the product line for 2018 are evidence of that. EPON appears to be pushing toward a message approximating “Japanese design, materials and quality control with American styling.” But is that enough? Every Japanese company has marketing materials touting craftsmanship, heritage, impeccable design, premium materials and adherence to strict manufacturing tolerances. Some of its valid and some is self-congratulatory back-slapping – but in either case, there’s little to separate the company from the background noise. Endo’s legacy as a premium forging house is secure, and all of the aforementioned JDM accolades apply. The question is whether EPON can become a brand unto itself in a way which resonates with boutique brand aficionados – or is the very DNA of what makes JDM brands attractive at odds with doing what’s necessary to capture any meaningful market share in North America. Who wants to get your EPON? I dipped my toe into JDM clubs last year with Fourteen Golf and have loved them. Is there any truth to the rumor that Fourteen is going out of business? I owned AF Tour CBs and loved the performance and feel, BUT NOT THE LOOKS. I’m glad the article touched on the North American aesthetic being considered. I couldn’t look down at the clubs w/o thinking shovel. Sold them and went w Miura BBs. I said to the builder, I would buy again if they perform like AF Tours but look more like a Titleist. Love these discussions about the more “obscure” brands. The problem I have is I never see them, along with Srixon and Bridgestone brands. I’m not a country club member and none of the pro shops around here carry anything but TM, Cally, Titliest, Ping, Mizuno, Wilson, Cobra. Steve – I think this is the crux of the challenge for such brands. The quality is there, but accessibility is a challenge. Fortunately, MGS has been working on something to take the guesswork out of it. Stay tuned. Great read and on the money as always. I was fitted for the Miura MC 501 irons and the dispersion pattern between these and my former irons (Mizuno JPX Hot Metal) were worlds apart. After nearly six months gaming the Miura’s my handicap is back under 10. I used a mate’s Epon driver (AF 105) a few months ago and was astounded with the feel and distance. Needless to say I ordered one and I’ve gained an extra 30 yards and still manage to keep it on the fairway. I have an AF-105 too, and i also have another Endo Forged driver that I think is even better, it’s the original Mizuno MP-Craft from Mizuno’s Yoro dept (or at least I think it’s the original, that’s all it’s called). It’s got a forged SP700 cup face, and like I mentioned it was made by Endo for Mizuno’s highest quality tour model so it’s top notch. Also, if you like the MC-501 you should try either the Epon P2’s or either AF-Tour model, you’d probably really like them too. Fourteen FH900 are Endo Forged as well. Brilliant Irons and in the bag. I hit some Epon irons at a recent driver fitting. The fitter paired the 303s with some Oban steel shafts and oh my goodness…the feel of the TP5X rocketing off those beautiful irons was incredible. Being a lefty with limited options, I’ve played Miura, Mizuno, Titleist, and Bridgestone forged irons and those Epon were some of the sweetest feeling irons I’ve ever touched. After the first swing, I started mumbling ‘my precious’ and the fitter let out a nervous laugh. My infant son won’t be going to college in 17 years because his dad spent all his college money on some Epon irons! With all this good info regarding forged irons does anyone know where KZG forged irons are made? I heard they were made in Japan but never have had that confirmed. Nor do I know by what factory. The original ZO blades were forged in Japan – Kyoei I believe. Typically, when OEMs leave Japan, it’s due to cost and product is sourced from China and/or Taiwan, which I’d wager is the case with KZG. Yes, KZG used to have their heads manufactured by Kyoei, when they were manufactured in Japan (which stopped several years ago). They’re now forged in China. I have a set of the original Kyoei forged KZG Forged Blades that were made in 2006, and I have no desire to even try another iron ever again, they’re that sweet. Although the author references the “higher-grade materials” that Epon/Endo use, he could have elaborated on that quite a bit. For their irons, wedges, and putters, Endo uses almost exclusively Japanese sourced s20c carbon steel, which combined with their advanced manufacturing tech makes for a very unique and soft signature feel. It’s almost like being proprietary because someone familiar with Endo can hit a dozen different clubs blindfolded and tell which ones are Endo forged based on feel only. I have two bag setups that revolve around one set of irons. Both setups are 100% JDM clubs. My main setup is all Epon/Endo clubs, except for the irons. However, even though my irons are not Epon/Endo, they are (to my knowledge) the only Kyoei forged clubs ever made from s20c (just like Endo famously uses s20c, so also does Kyoei famously use s25c). These are considered the two top forgeries in the industry; Endo because they are the most modern and have the best technology, Kyoei because they are the oldest and most experienced and still utilize master grinders to expertly finish and measure tolerances of all their forgings by hand. So, my whole main setup from putter to 3 iron is all forged s20c clubs of the highest quality. My driving iron, 3 wood and driver are likewise Epon (AF-901, AF-203, AF-105), and I also have a Mizuno driver from their Tour (Yoro) department called the MP-Craft which was made by Endo. The Mizuno driver and Epon 3 wood both have forged SP700 beta titanium faces, which is a rarity that’s exclusive to only very high-end metalwoods because it produces incredible feel, control, and distance. So, even though Epon/Endo is most well-known for their high tech one-piece forged s20c heads, their drivers / woods / hybrids / driving irons are all also of the highest quality in their respective categories. In my opinion, as someone who has used and uses or tries all the best JDM products (I’ve been through all the USDM equipment already that I care to, the quality coming from that market is overall trending backward), Epon is the highest quality all-around brand in the entire world. Most other JDM companies have a niche in the market and specialize in making a certain category of club; some are famous for their drivers (jBEAM, Ryoma, Grandista, Kamui Works, Crazy), some are famous for their woods (Modart, A-Grind, Romaro, OnOff), some only make or are mostly famous for irons/wedges (SEVEN, Kenmochi/Chikura, Kyoei, Zodia, Buchi, Miura Giken, Crazy, Yururi), and some put all of their effort solely into creating mind-blowing putters (Benock, Yamada, Gold’s Factory). Some brands do have solid all-around offerings across the board of club categories, like Baldo, PRGR, OnOff, jBEAM, Romaro, Modart, Zodia, Crazy, Yamaha; however, they will still usually specialize in a certain club category. For Epon, they manufacture clubs of the highest possible quality for every club category, even when measured against the specialty clubs of the other boutique brands. So if I had to stock my entire bag with clubs from only one brand, that brand would without a doubt be Epon. The voice of experience – you are fortunate. I owned the 701 irons, a bit too large, but they performed well – should have kept them. The 705’s seem more manageable, and I would like to look at the 505’s. So Do they help your HC Much or is it More about feel on every shot that makes you Play the game? Definitely help my handicap I feel like, however I started using JDM clubs basically at the same time that I did a very sophisticated custom fitting so I can’t prove any definitive cause and effect. The result is obviously a combination of the two, and my handicap did drop significantly. But being that I’ve tried some of the best JDM clubs to compare them with, I can say that with the Epon clubs I get consistently better results. I didn’t shoot my best score ever with my Epon/Endo setup, but I consistently shoot scores pretty close with that bag and I feel like a bit more consistently than I do with my other bag. …also, I apparently totally forgot to mention their putters, of which I also have one: a 2nd gen i-33. I absolutely love it; forged s20c (rare for a putter), then 100% milled 5x to perfection, with very minimal milled stamping especially on the sole which is mirror finish and bare except for loft/lie milling. I also have a SEVEN and a Yamada putter, and although the i-33 is certainly not better, it’s right up there in terms of quality. 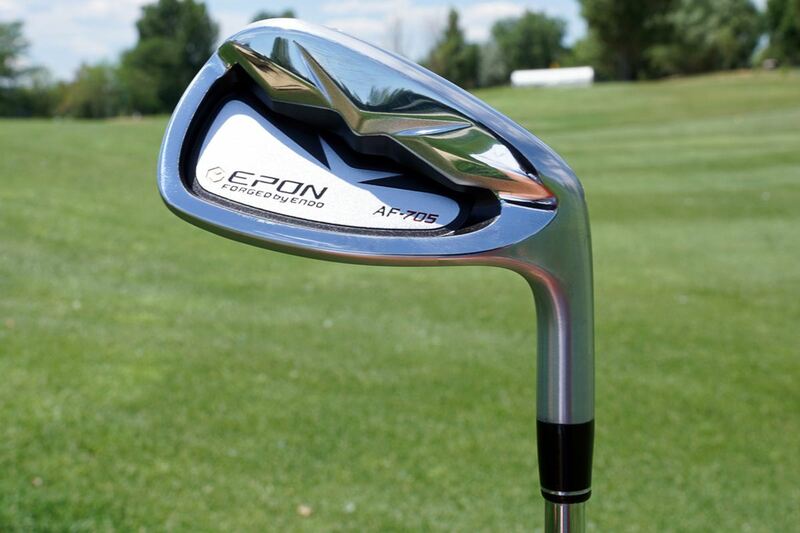 If cost was not an issue, I would be playing EPON irons. They were the only irons during fitting that were measurably performing better than Mizunos. They look great and feel just as good as the Mizunos, maybe better, and I don’t mean it’s because it is forged and not cast as I believe feel is more related to the design and sound of the club. However, I was not able to justify the cost difference to make that purchase. Perhaps, EPON needs to follow PXG’s marketing to build prestige and exclusivity – although these days at least one person with PXG clubs anytime I go to the range – to get their name out there. Maybe one day when PGX builds clubs/irons for other brands they might attain the prestige and exclusivity of Epon! Doubtful. Firstly, Epon is the house brand of Endo which is a very large forgery and manufacturer; secondly, PXG is at minimum not the forger of their own clubs, the only two golf companies that forge their own club heads in the USA are the new rebranded Ben Hogan’s, and only because they purchased the forgery of the old Ben Hogan’s, and a new brand that purchased the old Nike Oven and a forgery (and is even more high-end than PXG) called P53. I highly doubt PXG will ever become a true OEM. Endo was a long time forgery that expanded eventually to include an advanced department for golf clubs, PXG would be trying to do it the other way around and I doubt that’s a wise business model.